Companies that make consumer, industrial, and health products have a duty to the public to make sure their products are safe. Under Georgia law, manufacturers must avoid any manufacturing defects, design errors, or misleading instructions and advertising. Defective products can kill, cause catastrophic injuries, create permanent physical and emotional harm, and cause victims to suffer in many other ways. At Harris Lowry Manton LLP, our Atlanta product defect lawyers work with engineers and product safety experts to prove that products were defective and that the defect caused your injuries. Our legal team has won numerous awards and settled many personal injury cases. We fight to get consumers and workers compensation for the pain and suffering, medical bills, lost wages, disfigurement, and scarring that product defects may cause. Vehicle defects. Vehicle defects can prevent a vehicle from stopping in time, steering correctly, accelerating safely, and other problems that can prevent the driver from properly controlling the vehicle. 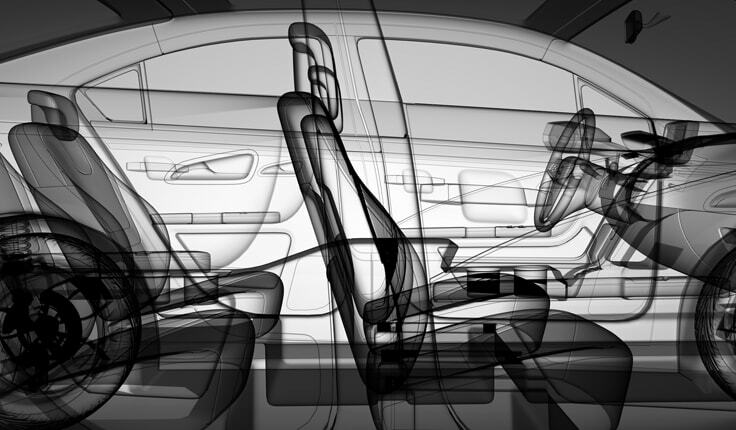 Bad parts or car design can also fail to minimize physical harm when an accident does happen. We handle car, truck, motorcycle, train, bus, and any type of vehicle defect that causes physical damage or alters lives. Medical devices. Separate from medical malpractice, these cases include recalled pacemakers, heart stents, defibrillators, defective hip replacements, biomedical products, and other dangerous medical devices. Dangerous prescription drugs. Prescription drugs are given for most every ailment. The drugs are supposed to help patients, not hurt them. Defective drugs can cause death, heart failure, organ damage, depression, and a host of physical and emotional problems. Just stopping the drug is often not enough to correct the problem because the internal damage has already been done. Manufacturers make a fortune off the drugs they sell. They and others in the supply chain deserve to be held accountable when their drugs cause patients harm. Toxic chemicals. These can cause respiratory problems, chemical explosions, burn injuries, neurological damage, and electrocution. Types of toxic chemicals include pesticides, household cleaning products, dangerous environmental products, toxic agents, lead paint, carbon monoxide, and more. Talcum powder products. Talcum powder was already known to harm babies and children if not properly prepared. New cases are now being brought because talcum powder can cause ovarian cancer in women. Class action lawsuits have already started against Johnson & Johnson, a leading talcum powder manufacturer. Aviation product defects. We take on cases that involve malfunctioning airplane engines, plane parts, instruments, and other aviation manufacturing or design defects. Injuries to children. Common product liability cases involving children can include lead paint or other hazards such as small parts that can cause choking, child car seats, bicycle defects, dangerous four wheelers or ATVs, defective guns, escalator injuries, flammable fabrics, and other products that have not been made safe for children. Defective machinery. Personal injury sustained on the job due to an object like a forklift, crane, press, power tool, and/or other construction equipment can be the basis of a product liability complaint. Many different defendants can be held liable in product liability cases. Defendants can include the manufacturers of the product, the distributors, and any sellers. We may also bring complaints against any person or business that knowingly let a worker or consumer use a defective product. In addition to filing private complaints, our Atlanta product liability lawyers also file class action lawsuits when many people have been injured or killed by the same product. We have tried cases in both state and federal courts. At HLM, our Georgia product liability lawyers understand the complexities of product liability litigation. In one case, we obtained a $40 million-dollar judgment on behalf of a woman and her spouse when the woman was rendered a paraplegic because Ford Motor Company improperly designed her Ford Explorer. For professional help, please phone our Atlanta office at 404-998-8847 or our Savannah office at 912-417-3774 to schedule a free initial consultation. You can also complete our contact form. We are ready to help you get justice for injuries caused by product defects.